Winged reproductives produce the offspring in the colony and swarm at certain times of the year. Colonies can have both primary reproductives (one king and one queen), and hundreds of secondary reproductives to assist in egg laying and colony growth. 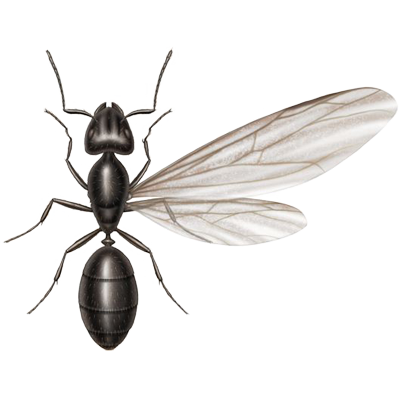 To tell the difference between a winged reproductive termite and a swarming ant, look at the swarmer’s body shape, antennae and length of wings.